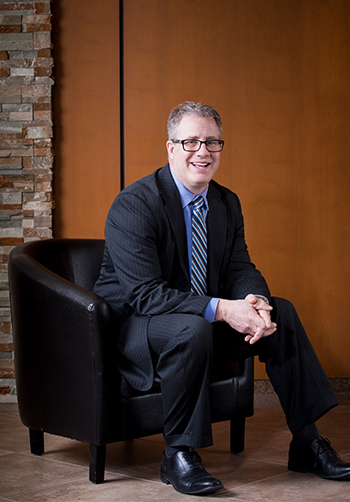 Proactive Advisor Magazine: Tim, how did you become involved with the college-planning process? In meeting with my financial-planning clients, I kept seeing parents struggle to find a way to pay for a college education without taking on a great deal of debt or dipping into their retirement resources. We wanted to find a better way to advise clients for this important life event. This led us to specialize in the area of college planning and funding. We have participated in over 150 in-depth campus tours and have met with admissions and financial aid deans across the country. We have helped to coach over 1,000 students and families through the processes of college selection and financial aid. We get into just about every part of the process, from college screening and application preparation to financial strategies such as financial aid, savings plans, tax reduction, and gifting and loan strategies. This part of our firm’s business introduces us to many families who may eventually decide to make use of our financial-planning and investment-advisory services. Talk about your approach to investments. I consistently utilize an active investment management approach. I do not believe that clients’ hard-earned money should be at the mercy of volatile markets. In the early 2000s, it became clear to me that managing active client portfolios by myself was not going to work over the long term. I need to be available to over 200 clients for planning and review purposes, as well as continually prospecting for new clients. As my practice grew, portfolio management became too labor-intensive, and I needed to find professionals with first-class money-management skills that had essentially the same investment beliefs as I did. At that time, I was in a firm with over 80 advisors, and I was one of the strongest advocates for applying more risk management to client portfolios. As I did my research and due diligence, I found some active money managers who had investment strategies that aligned with my philosophy, and I have used third-party managers ever since. What types of strategies do you use for clients? It starts with the financial plan and in jointly developing the proper objectives. All clients have different wants and needs, from college planning to buying a vacation home to seriously planning for an income stream in retirement. What is their life situation, their future income sources, their family obligations, and their risk profile? I generally look at different approaches for different time frames, the short term being one to five years, intermediate five to 10 years, and then into retirement and beyond. Strategies can vary based on all of these factors. After my client’s financial plan is completed, we discuss the use of tactical money managers and the potential benefits of using this type of active management strategy. I usually recommend a diversified portfolio that includes multiple asset classes, with percentage weightings that can change as the market moves or a manager’s perception of risk or modeling of risk changes. Asset classes and allocations are constantly reevaluated to help ensure the portfolio stays appropriately diversified within specific risk parameters and that the allocations are suited to the current market environment. I explain to clients that things can change from week to week or month to month. Knowing that a manager is watching their investments and that I am watching over the manager provides some peace of mind. It is not unusual to have a client’s money divided between different managers and different strategies. As advisors, it is important to review the manager’s record on a historical and ongoing basis. Going into the relationship, I like to look at a manager’s longer-term track record, especially how they did in down-market years. If they have historically been able to mitigate risk in those down years, then there is a higher likelihood that they could be a good selection as a manager for my clients. Does the use of third-party active managers differentiate your practice? Remember that we set the bar for a client’s success as we design their financial plan. Our goal is not to beat the market, but to achieve what they need for their risk tolerance and time horizon for each of their financial objectives. Using active money managers is an important tool that provides additional diversification and risk management. Over time, I believe this provides the opportunity for improved portfolio management and can help to smooth out volatility. Everyone can do well when the market as a whole goes up, but what happens when the market gets rocky? What happens to your portfolio at those critical times is extremely important, and that is when active management can really shine. This is not only important for the actual performance of a client’s portfolio, but also for a client’s emotional outlook. Knowing that we use managers who have quantitative models that are prepared to deal with market declines is reassuring for clients—it helps to keep them committed to their financial and investment plan. How do you manage client expectations? Here is the interesting dichotomy. We use some of the most sophisticated money managers out there who have quantitative methods and models. We also use very advanced financial-planning software. But most clients are deeply consumed by their jobs, their families, their faith, and their leisure activities. They want first and foremost to know that I am knowledgeable and have their best interests at heart. They do not want to get into the nuts and bolts of each and every investment strategy—that is what I am paid for. What is important to communicate and explain, for both those planning for retirement and those planning for college, is how their total financial picture can come together to help them move toward successfully achieving their objectives. Through our planning process and by working with outside money managers, we can create a win-win-win situation for all involved. Based on the positive feedback and strong referrals our firm receives, I think our clients clearly see that also. 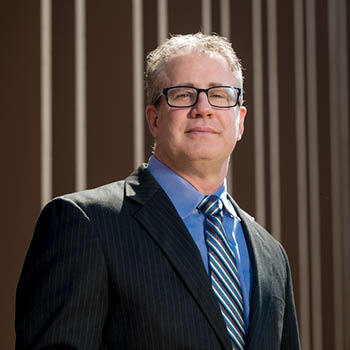 Tim Parros is the founder of Parros Financial Group (PFG) of Ann Arbor, Michigan, which offers securities through Sigma Financial Corporation and investment advisory services Sigma Planning Corporation. Mr. Parros and his wife, Kim, also offer extensive college-planning services through a division of PFG, Parros College Planning. 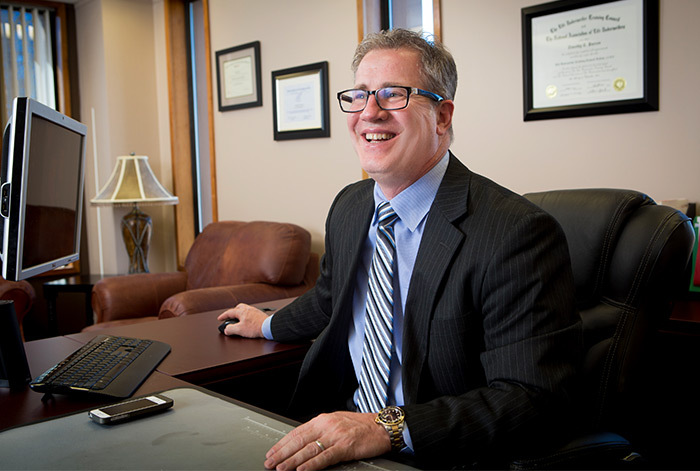 A financial advisor with nearly 25 years’ experience, Mr. Parros knows that two of the biggest issues for his clients are funding retirement-income needs and paying for college costs. In addition to his securities and insurance credentials, Mr. Parros holds the title of Certified College Planning Specialist, is a member of the National Association for College Admission Counseling (NACAC) and of the Higher Education Consultants Association (HECA). His firm has coached numerous students and families through the steps of college selection and financial aid, attempting to help them reach their goals with greater predictability and confidence. PFG has served hundreds of clients, and the team offers a broad array of services, including financial and retirement planning, long-term-care planning, insurance, and asset-management services. Mr. Parros has been recognized nationally with awards for leadership and production. Disclosure: Securities offered through Sigma Financial Corporation, member FINRA/SIPC. Investment advisory services offered through Sigma Planning Corporation, a registered investment advisor. Branch address located at 2245 South State Street, Suite 2400, Ann Arbor, MI 48104. Parros Financial Group LLC is independent of Sigma Financial Corporation and Sigma Planning Corporation. Asset allocation and diversification do not ensure a profit or guarantee against loss. They are methods used to help manage risk. Editor’s note: This article first published on July 9, 2015. Mr. Parros is affiliated with Woodbury Financial Services, Inc., as of this update (May 4, 2017).